Regula slow cooks oxtail over 4 hours, resulting in wonderfully rich, tender meat that easily falls off the bone. 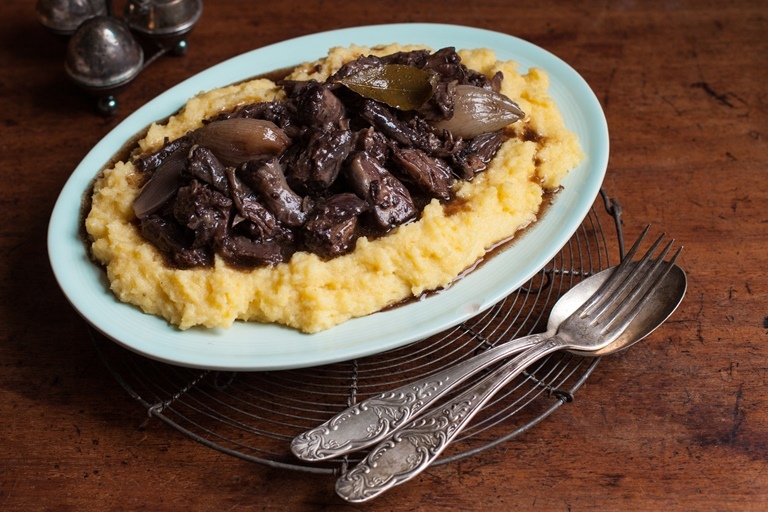 To boost the flavour even more Regula adds red wine, bay leaf and sweet baby onions to her stew and serves it on a bed of creamy polenta. If you buy oxtail you are truly eating from nose to tail, literally! So many people are put off by oxtail because they think it is tricky to prepare or because it looks a bit odd. It looks like a shin, but with lots of little bones, instead of one large oozing bone marrow that can be spread on a slice of toast. 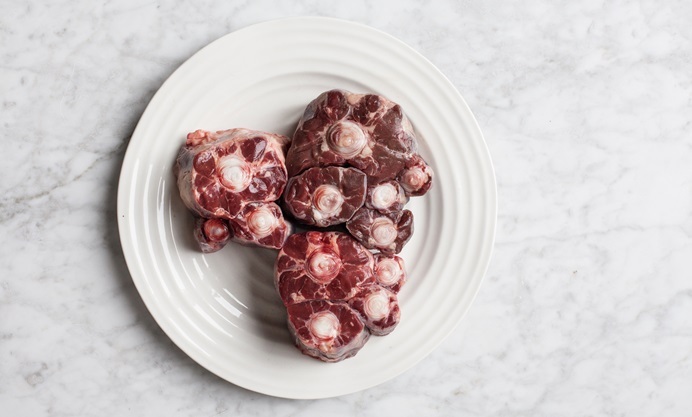 Think again if you are worried it will take a lot of cleaning and processing, oxtail is one of the easiest cuts of beef to prepare. Because oxtail needs low and slow cooking, you are guaranteed lots of flavour, even if you have done little to prepare it. 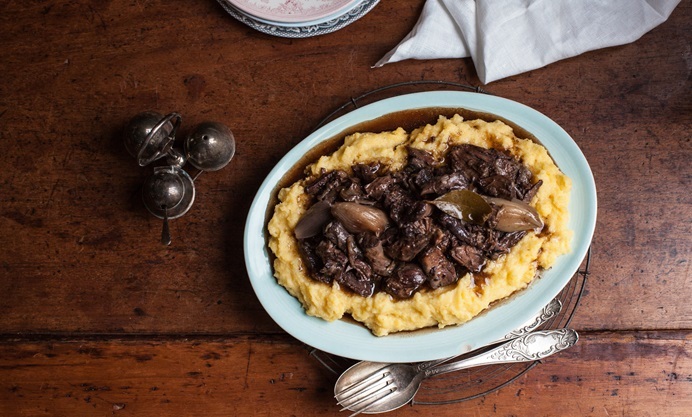 If this is your first time cooking oxtail a traditional recipe is a good place to start. The Italians call this dish 'pepposa' as the beef is simply cooked in red wine and pepper. I just call it oxtail in red wine and also add onions, a bay leaf, garlic and pepper for extra flavour. After four hours of stewing, the meat falls off the bone without being dry. I hope you find this oxtail stew as satisfying to prepare as I do. The pleasure starts with picking the meat off the bone – it is no work as it falls off the bone so easily you will wish you had 5kg of tails to pick. And then there is the enjoyment of being able to eat this bowlful of stew with a spoon and nothing else. As this dish is beautiful in its simplicity, no vegetables are served with it. If you would like some vegetables perhaps try sautéed kale, roasted pumpkin or a side salad. Alternatively, you could serve a vegetable-based starter.